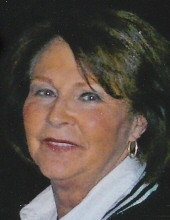 Barbara Jean (Bergeman) Goettl age 71 of Cadott, WI. passed away Wednesday, March 27th, 2019 at home. She fought a courageous battle with Lou Gehrigs (ALS) Disease. Barb was born on May 5th, 1947 in Chippewa Falls to Donald and Rosemary (Picotte) Bergeman. She graduated from Chippewa Falls High School in 1965. On November 5th, 1966 she married Lyle Goettl of Cadott, they celebrated their 50th Anniversary in 2016 with family and friends. She worked at Fabri-Tek and in the office at Chippewa Valley Music Festivals for 24 years where her husband Lyle was the original founder. Barb enjoyed numerous trips with Lyle to London, Spain, France, Jamaica, Mexico, Italy, St. Thomas, Africa with her Mother Rosemary and Sister Ann and many more locations. She also enjoyed her shopping, thrift sales and casino trips. She had many fond memories of being up to their summer home on Lake Holcombe. Barb is survived by her Husband Lyle, Sons Lonnie (Autumn) and Brent all of Cadott, two Granddaughters Jada and Macey, One Sister Ann (Mike) Swoboda of Jim Falls, three Brothers Mike (Linda) Bergeman and Jeff (Val) Bergeman both of Eau Claire and Pat (Elua) Bergeman of Tampa, FL. She is also survived by in laws Deone (Linda) Goettl of Cornell, Kay (Lenny) Sedlacek, Randy (Phyllis) Goettl and Rick (Terri) Goettl all of Cadott, also many special nieces and nephews. Barb had many special friends, Sandy Weiland, Linda Felmlee, Dorothy Tenner, Scooby Chapek, Liz McConnville and many more too numerous to mention. Barb was preceded in death by her Parents, her in laws Butzy and Ione Goettl and sister in law Susan Bergeman. A Service of Christian Burial will be held at 11:00AM on Tuesday, April 2, 2019 at St. Rose of Lima Catholic Church in Cadott, WI. with Deacon Ned Willkom officiating. Private family Interment will be at St. Anthony's Catholic Cemetery, Drywood at a later date. Visitation will be from 4:00-8:00PM on Monday April 1st, 2019 at the Leiser Funeral Home in Cadott, WI and also One hour prior to the Service Tuesday morning at the Church. IN LIEU OF FLOWERS-Memorials are preferred and will be directed by the family in Barb's memory. The family would like to Thank Barb's caregiver Donna Drivdahl and Mayo Hospice for the special care and attention given to Barb. To send flowers or a remembrance gift to the family of Barbara J. Goettl, please visit our Tribute Store. Also 1 hour prior to service on Tuesday at the church. "Email Address" would like to share the life celebration of Barbara J. Goettl. Click on the "link" to go to share a favorite memory or leave a condolence message for the family.